Seventeen-year-old Bryar Rose has a problem. She is descended from one of the three magical races - shifters, fairies, or witches. That makes her one of the Magicorum, and Magicorum always follow a fairy tale life template. In the case of Bryar, that template should be Sleeping Beauty. Trouble is, Bryar is nowhere near the Sleeping Beauty life template. Not even close. She does not like birds or woodland creatures. She cannot sing a note. And she certainly cannot stand Prince Philpot, the so-called His Highness of Hedge Funds that her aunties want her to marry. Even worse, Bryar finds herself attracted to a hottie werewolf named Knox and is under attack by evil mummy-zombies. 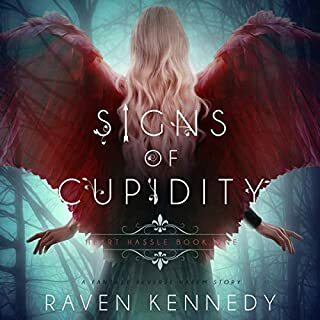 If Bryar cannot figure out who - or what - she really is, it might cost both her and Knox their lives...as well as jeopardize the very nature of magic itself. Not just one but several great characters! I loved the story and it has a great strong leading female character. Narration is awesome! 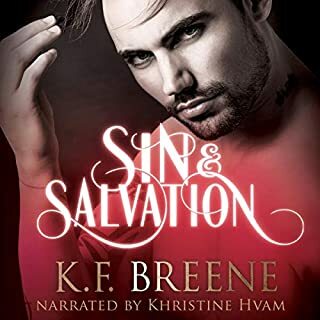 I can't wait for the next book to come out on audio! Please hurry with the audiobook! I am a huge fan of Christina Bauer. I read or listen to everything of hers I can get my hands on. i love her imagination and the worlds she introduces me to. I also love listening to her, she narrates her own audiobooks. She brings life to each and everyone of her characters. I love how she always makes her female characters strong and leaders. I'm not a damsel in distress kind of girl. I love reading about strong women, real or made up. I cannot wait for book 2 in this series. 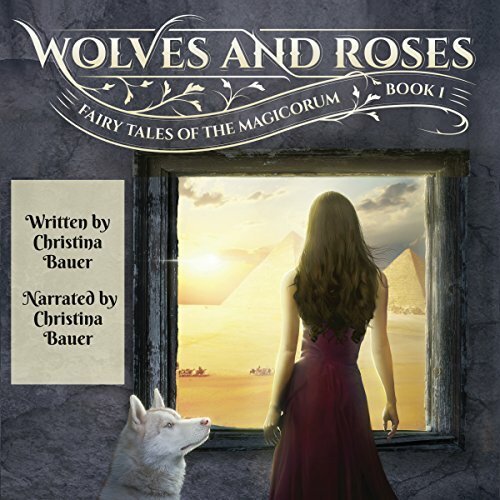 Wolves and Roses is book one in Christina's new series Fairy Tales of the Magicorum. The book is a whole new twist on the Sleeping Beauty fairy tale. Bryar Rose was adopted by 3 Fairies who she calls Auntis when she was an infant. 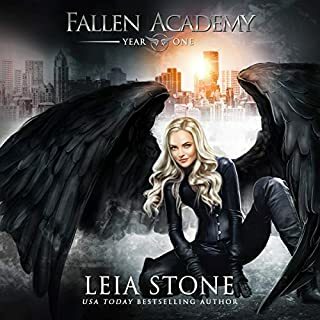 Bryar just wants to be a normal girl and go to a normal high school and do things normal girls do since she is told she is a mortal and has no magical powers. And sh has no desire to marry the Prince, unlike Sleeping Beauty from the childhood story. She has a sleeping curse that was placed on her when she was very young. She just has to get to her 18th birthday and then the curse will disappear. The curse puts Bryar Rose to sleep every time she gets excited or stressed. Her Aunties have given her a inhaler that if she breaths in the medicine she will not fall asleep. Then Bryar meets Knox. Knox is a badboy Werewolf who falls straight out of Bryars dreams. It doesn't take him long to figure out the lies that have been told to Bryar her whole life. Now it's up to both of them to figure out how and what life altering changes need to be made in Bryar's life and quickly. 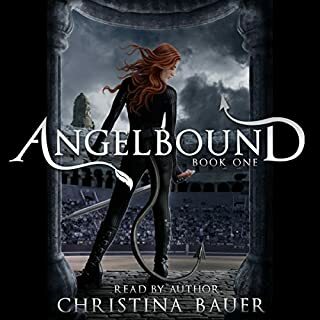 I was gifted this copy by Christina Bauer and YA Bound Book Tours for review purposes. The thoughts and feelings are my own. Was Wolves & Roses worth the listening time? I loved the characters and the story of this retelling. The narrator did an amazing job bringing the story to life! Now that is a fairy tale with a twist! It’s no secret that I am a HUGE fan of Christina Bauer. Her books bring a story unlike any others to life in ways Jay have you glued to the book, and then you’re stuck with a book hangover for a while. They’re full of laughs, “holy crap” moments and a lot of “oh no she didn’t” moments. Seriously. Bringing a fairy tale to life, reanimating it and making it something so totally different than what we remember from childhood, is hard. Let’s face it. We all know them... but Christina was able to mold and strip hers into something so different from the norm it should be on Mars. Minus the little green men, she’s have wolves. She’s awesome like that. I think Bri is one of my new favorite characters. She’s shy, yet snarky, and a little bit of a badarse all wrapped up in spy gear. She’s like a bad Harriet the Spy just better. If you’re looking for a read that will have you laughing or slamming things down (as always, at the amusement to others around you) then this is the book for you. It’s a winner! An incredible twist to an old tale. We all know the story of Sleeping Beauty, either from the Disney classic, or from the original Grimm's Fairy Tales collection. With most of these fairy tales, retellings can either be really really good, or really really bad. Luckily, this book is fantastic, and is definitely a new favorite of mine. I can't fit everything I enjoyed about this story, into one review. Instead, I'll settle for the top few aspects, and leave the rest to you - I'm sure you'll want to read it! Bryar Rose is everything we've come to love from the classics, and then some. In addition to the curse she's under, she's friends with another fairy tale darling, making them hilarious together. She's got enough sass to boot, which is helpful, considering she wants to try and fit into &quot;normal&quot; society with the rest of us regular, non-magical humans. 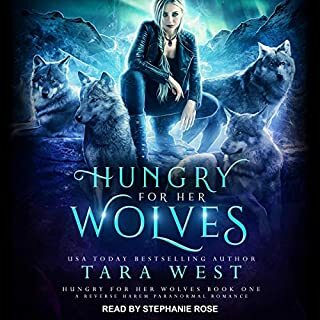 The spin of our beloved story time characters being partially or fully magic was amazing, and with the addition of werewolves, for one, this mashup story is simply perfect. The main werewolf, Knox, is well...wow. A lot of the guys in this type of paranormal fantasy romance tend to get a bit overdone. Knox, however, is one of the few I truly enjoyed. He wasn't written as a stereotypical werewolf, and his own character growth was fantastic. Bringing a unique element to the story, his entire existence helped shape this book into the beginning of a wonderful series. The writing is, as I've come to find with Christina Bauer's work, wonderful. She has a natural flow with every book I've seen from her, and this one is no different. With a balanced mix of humor, excitement, danger, and surprises, she leaves you craving more, eager to see what happens next. She also did a fantastic job narrating, giving this story a realistic breath of life. Her different character voices were stupendous, and her voice completely drew me in and made me feel a part of the story. I could clearly see what was happening, partially due to the writing, but also because of her narrating. 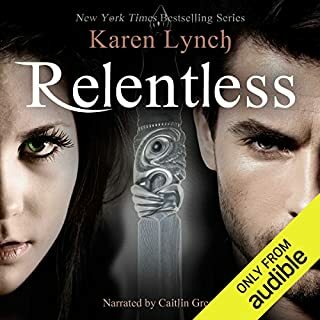 I haven't encountered a book narrated by the author before, but this one was done so well, it's definitely one of my favorite audiobooks so far. If it wasn't obvious, I would definitely recommend this. If you enjoy fairytale retellings, this is one you won't want to miss. I'm definitely going to be diving into the rest of the series as soon as I can. *I was given a complimentary audiobook copy of this book, from the author, to read in exchange for an honest review. a little slow to start with details which turns into a addictive story especially since the author is also the narrator and gives each character the personality intended. this is an interesting look at fairy tales and magic. it has good plot twists and the characters really pop. briar Rose is no princess waiting to be saved and has no interest in her "prince". however she's in for more than one surprise when her 18th birthday comes up. narrative is by the author and there is a couple of places where she has some timing/tone issues. also she has an almost rant at the end that I wasn't really impressed with. otherwise it's a really good story and I enjoyed it.